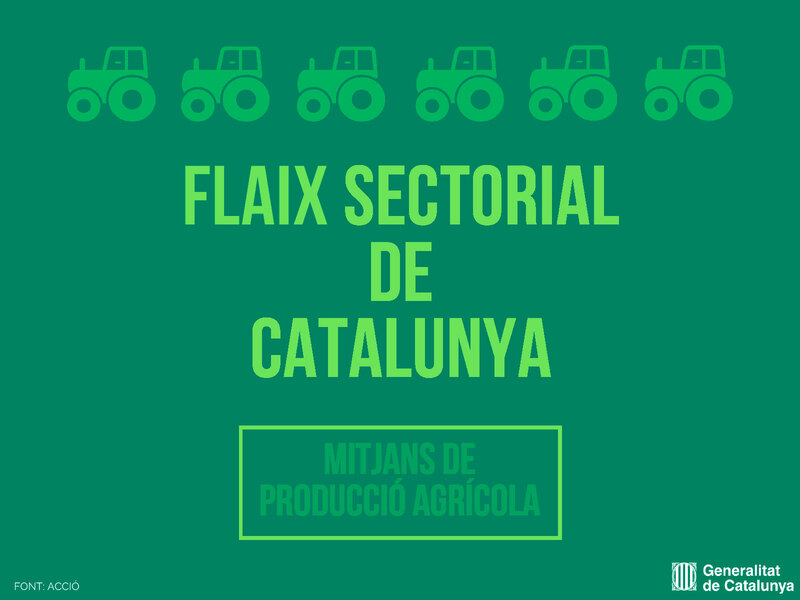 The Sectorial Flash of Catalonia dedicated to the agricultural production sector offers a quick and updated view of the situation of the sector in Catalonia. What dimension has and what are its subsectors pointers? What types of companies is most characteristic of the sector? To which Catalan demarcations does the sector have more weight? What future challenges should you face? All this and more in the sectorial flash of the means of agricultural production in Catalonia. 133 companies belonging to the agricultural production sector have been identified with an aggregate turnover of € 1,777.8 million. € 1,777.8 million of turnover represents 1% of the total Catalan GDP. 95.5% of the companies identified are SMEs (less than 250 workers). Lleida (44%) and Barcelona (42%) are the provinces where more companies are concentrated. They are followed by Girona and Tarragona, with 7% each. 70% of the companies in the sector are exporters and 10% have a subsidiary abroad. Agricultural machinery companies are the ones that have more companies (75), while companies in the phytosanitary segment are those that accumulate more turnover (€ 939.8 million). For more information, access the executive summary of the sector’s report: The agricultural production media sector in Catalonia.